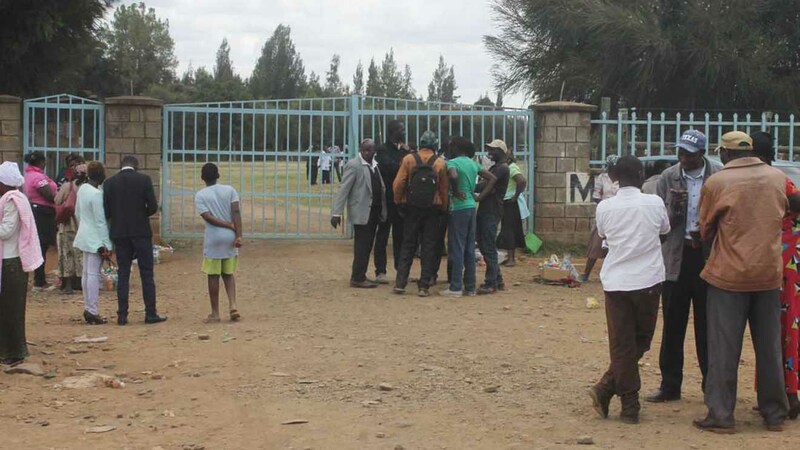 Drama unfolded in a Kenyan area of Nanyuki Teaching and Referral Hospital mortuary on Tuesday after two families fought over a body. 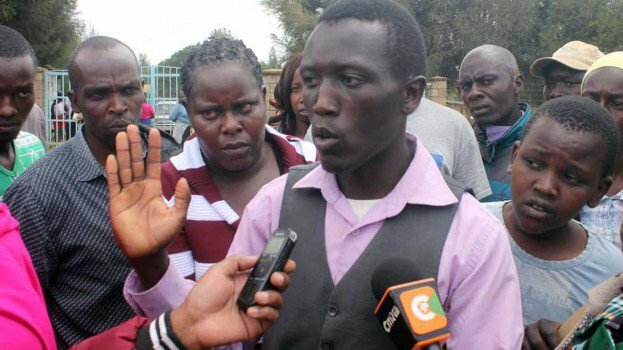 The bereaved had come to collect the body of Jamlick Kimathi who died at the age of 29 for burial at his home at Maritati village in rural Nairobi but a disagreement arose after the family of the deceased’s wife disappeared with the burial permit. A relative to the deceased’s wife was heard shouting that the burial would not proceed since the late Kimathi had not paid the pride price for their daughter. With those who were opposed to the burial having disappeared with the burial permit, the funeral ceremony would not proceed. The two sides engaged in a shouting match and that generated into blows and kicks as some people were seen rushing to the hired vehicles outside the mortuary gate to get pangs. a brother in law of the late Jamlick Kimathi speaks at mortuary after a burial planned for Tuesday aborted. This was after a relative to the deceased’s wife disappeared with the burial permit over alleged non-payment of dowry prompting police to intervene and call off the burial. Police officers, however, arrived before the dispute could degenerate into a bloody clash and ordered representatives of both families to accompany them to Police Station. The law enforcers also directed that the body be returned to the morgue. The area’s Police Commander Mutoro Kizito told the Nairobi News that the burial had been called off after the two families failed to agree on whether the burial would proceed. “We detected that there was a looming confrontation that would have occurred during the burial ceremony. The two opposing sides have been asked to reach a compromise and then plan the burial later in the week,” said Mr Kizito. The police boss said the family of the deceased’s wife could not state categorically why it was opposed to the burial taking place but one of them had hinted at failure by Kimathi to pay the dowry when he was alive. A brother-in-law of the deceased protested bitterly over the decision by some family members to scuttle the burial plans at the last minute when everything had been set including digging of the grave. “Our concern is why they are refusing to hand over the burial permit to us. Our brother had married from the family and not the other way round. They should give us the document,” said Joseph Mwangi, the brother in law to the deceased. The family of the late Kimathi’s wife declined to speak to local Kenyan media on their grievances.